8001 S. Grant City Rd. 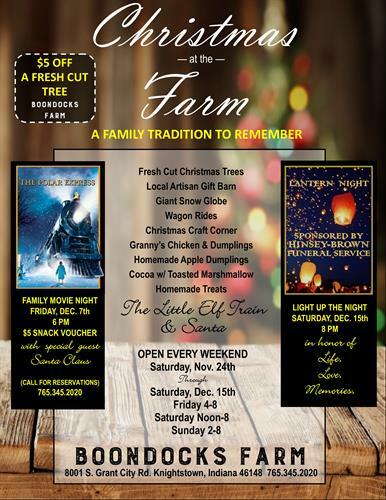 Christmas at the Farm at Boondocks Farm! A family tradition to remember! In honor of life, love & memories.